Looking for email marketing software that has all the features you want at the price you’re looking to pay? 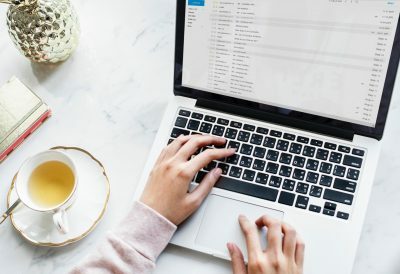 These are unbiased reviews of six email marketing providers for any budget ranging from free to enterprise email marketing solutions. Read through the reviews and decide which is best for your email marketing needs. 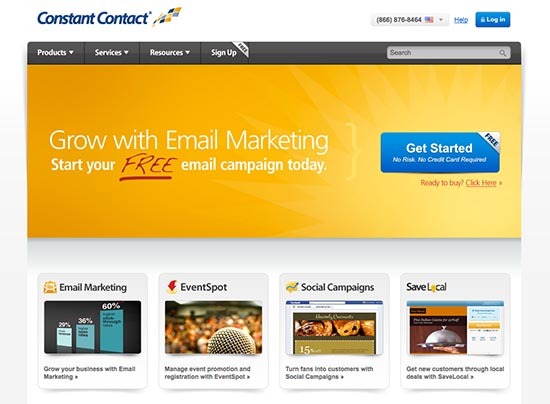 ExactTarget is a more robust system than most email service providers. It’s primarily used by larger businesses who have many emails to sent out. Customers have a dedicated Account Representative to assist them. They’re great for social media integration – they recently acquired CoTweet and are continually adding to their list of add-ons. 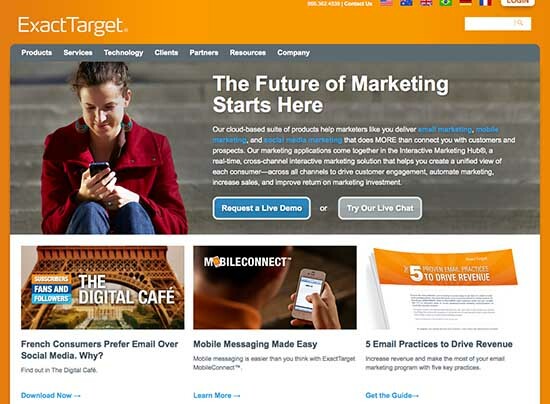 Like Mail Chimp, ExactTarget features integration with many third-party services like Salesforce. ExactTarget’s tracking and reporting features are top-notch. They allow you to drill down into individual subscriber data like times of opens, links clicked and survey results. No pricing is listed on their website. It will likely require knowledge of HTML to get your email to appear how you want it. A new user account must be created for every sender you want your emails to come from. ExactTarget does not offer monthly plans. The pricing is determined by speaking with one of their Account Executives who will put a plan together based on your email volume. Emma has about 40 templates to choose from, but offers custom design services (for a fee). 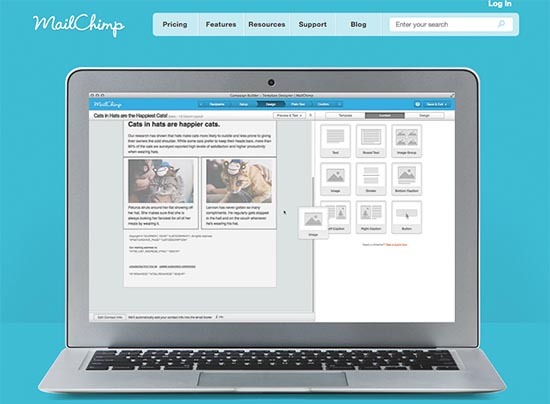 They also have a drag and drop email editor similar to MailChimp. 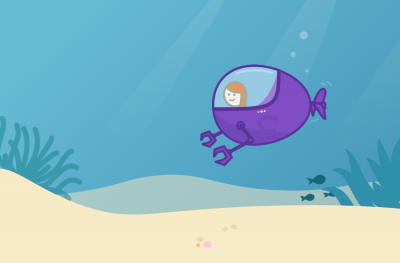 Emma’s main value proposition is their design qualities which are far superior to most other email marketing software. Emma integrates with Bigstock, Aviary, Google Analytics and social media sites. Their response reporting is easy to interpret, but more importantly, can be easily transformed into usable actions. For example, you can view a list of subscribers who have taken an action (like opened or clicked) and turn that list into a new send list. Not many templates. No automatic A/B testing. Prices range from $30/month for 1,000 emails to $125/month for up to 10,000 emails. 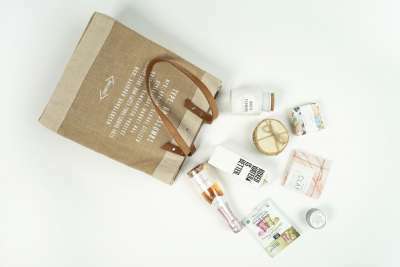 They also offer a 20% discount for pre-paying and special nonprofit pricing. Like Constant Contact, Emma offers a 30 day free trial. 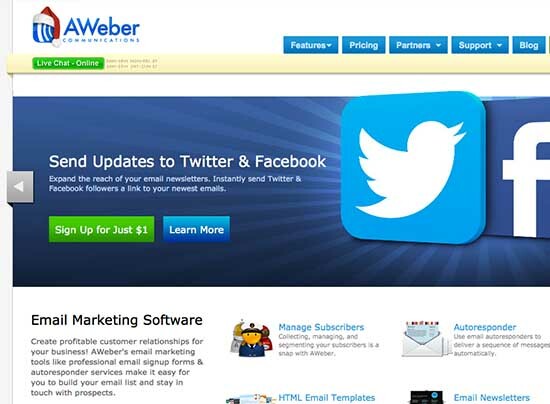 AWeber has more than 150 templates to choose from. It integrates with WordPress, PayPal, Eventbrite and a few others. AWeber also allows you to quickly segment your lists by subscriber opens or clicks, location, and even what pages subscribers visited on your website. This provider has an option for custom HTML and also allows you to add attachments to your email. No survey feature. No image hosting. No option to send the same email to multiple lists. No ability to forward a message to a friend. Not integrated with Google Analytics. AWeber offers a variety of pricing options, but their monthly plans range from $19/month for up to 500 subscribers to $149/month for up to 25,000 subscribers. 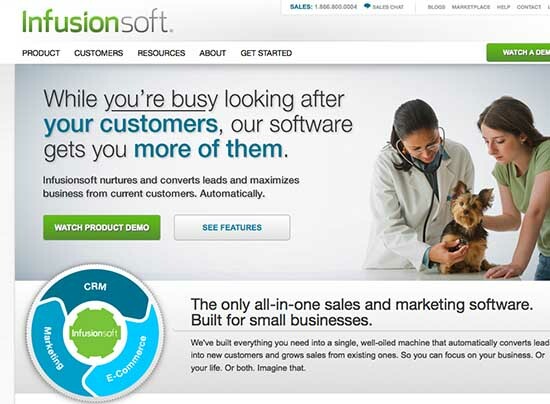 InfusionSoft combines CRM, email and social marketing, and e-commerce solutions. It is most known for it’s easy ability to segment subscribers by activity to help you send very targeted emails. They also provide detailed customer records so you can see what emails were sent to who and which actions your subscribers took. Not as user-friendly as its competitors – expect a learning curve. Selecting the right email marketing application is a difficult decision. Each one has different features, drawbacks and price points. Keep in mind what your current needs are as well as your future goals. Once you have all your lists and data in one program, it may be a hassle to switch providers when you need a system with more features. Select a provider now that can grow with your business and subscriber lists in the future. 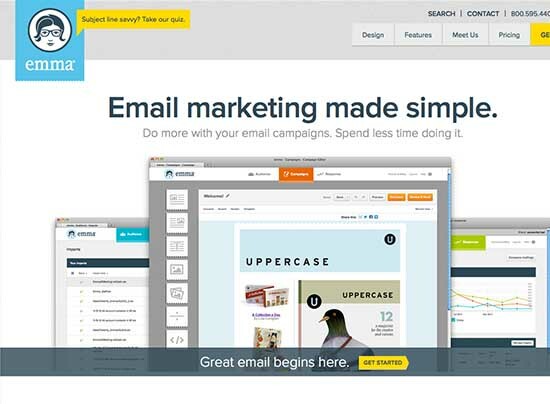 Which email marketing platform is your favorite? Know of another that’s not listed here? Give us the details in the comments!